Beauty Care Choices: Are harmful ingredients allowed in cosmetics? As part of Beauty Care Choices ongoing efforts to keep our customers and followers informed, we have taken the information below directly from the FDA's website. When reading this it is important to remember that the FDA controls are for manufacturing in the United States. The manufacture of cheap imitation and knock-off products from companies outside the US are not controlled, although laws apply. 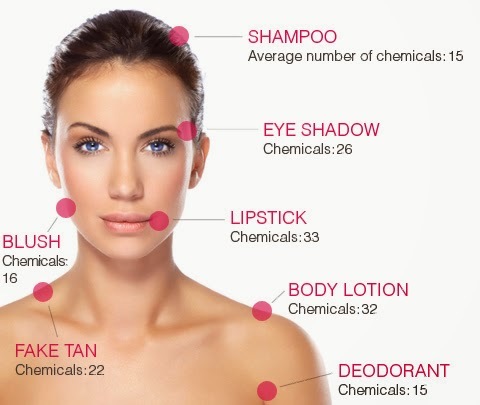 Learn more about chemicals in beauty care. With the exception of color additives and a few prohibited ingredients, a cosmetic manufacturer may use almost any raw material as a cosmetic ingredient and market the product without an approval from FDA. The Federal Food, Drug, and Cosmetic Act requires that color additives used in cosmetics must be tested for safety and be listed by FDA for their intended uses. Bithionol. The use of bithionol is prohibited because it may cause photo-contact sensitization (21 CFR 700.11). Prohibited cattle materials. To protect against bovine spongiform encephalopathy (BSE), also known as "mad cow disease," cosmetics may not be manufactured from, processed with, or otherwise contain, prohibited cattle materials. These materials include specified risk materials*, material from non-ambulatory cattle, material from cattle not inspected and passed, or mechanically separated beef. Prohibited cattle materials do not include tallow that contains no more than 0.15 percent insoluble impurities, tallow derivatives, and hides and hide-derived products, and milk and milk products (21 CFR 700.27).